As March takes us from late winter to early spring, we celebrate the movement of the seasons in the mysterious, luminous beauty of the moonstone. According to Hindu mythology, the moonstone is made of solidified moonbeams; lovers who exchange moonstone rings will be granted eternal love; as a talisman this “traveler’s stone” offers safety on perilous journeys; and its many associations with the moon endows the moonstone with the magic of fertility and youth. Fabergé and Tiffany & Co. designed dazzling necklaces with swags of moonstones, and the British firm of Liberty used moonstones for their Arts & Crafts jewels. 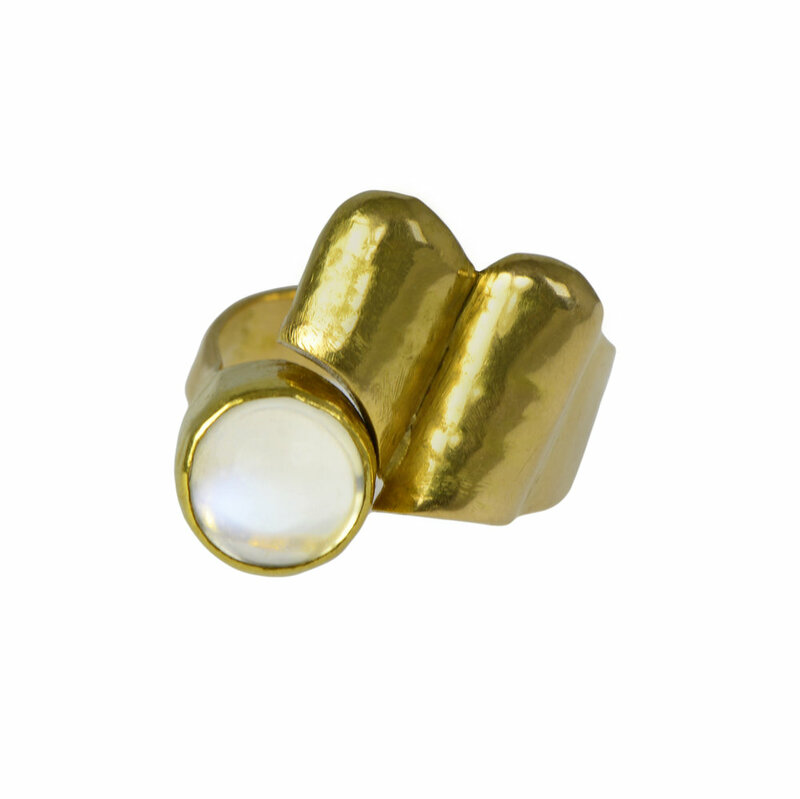 Among the modernists, the moonstone has been used to great and diverse effect with lasting appeal.